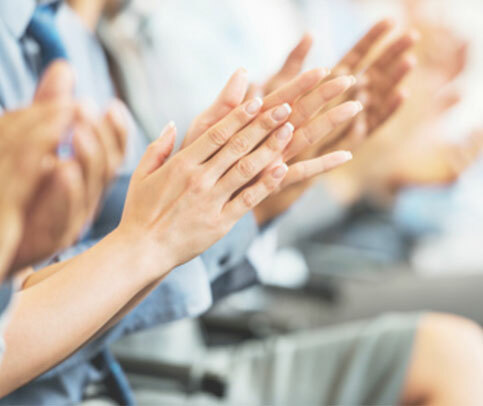 As a telecommunications group committed to strategic growth and sustainable progress, we are continuously advancing through our achievements and milestones as a Group to maintain our industry leadership. The Board of Directors of Idea Cellular Ltd approved the scheme of amalgamation of Idea and Vodafone India Limited and its wholly-owned subsidiary, Vodafone Mobile Services Limited with Idea (proposed merger). Completion of private placements of edotco Shares equivalent to USD300.0 million and USD200.00 million to INCJ and Khazanah. Shareholders’ Agreement between edotco Group, Axiata, INCJ and Khazanah to govern the parties’ relationship in edotco Group became effective. - Share Purchase Agreement between Axiata and Mount Bintang Ventures Sdn. Bhd. (MBVSB), a wholly-owned subsidiary of Khazanah for the purchase by MBVSB of 273,269, 624 edotco Shares at a purchase consideration of USD200.00 million. Completion of the acquisition of additional 12.5% stake in edotco MM. edotco Group now holds 87.5% interest in edotco MM. Dialog completed the incorporation of Dialog Business Services (Private) Limited to provide Business Process Outsourcing services including call centre. edotco Labuan completed the incorporation of Edotco Towers (Bangladesh) Limited. Robi registered the Merger Filing with the Registry of Joint Stock Companies. Pursuant to the above and in accordance with the agreement, the merger of Robi with Airtel Bangladesh is effective. Joint Stock companies for a period of 4 weeks from 9 November 2016 to 9 December 2016.
spectrum fees amounting to RM816.75 million. requirements pertaining to the new LTIP. merger of Robi with Airtel Bangladesh subject to certain conditions. 2x20MHz of 1800MHz bands effective 1 July 2017.
subsidiary companies, namely, GSM One (L) Limited (GSM One) and GSM Two (L) Limited (GSM Two). will expire in April 2019. The new LTIP is for a period of ten years from the effective date of the LTIP. telecommunications and all types of communication businesses. Completion of the acquisition of Ncell. eligible employees and Directors of XL at an Extraordinary General Meeting of Shareholders. Acquisition of entire issued and paid-up capital of Reynolds Holdings Limited (Reynolds) which in turn holds 80% equity interest in Ncell was approved by Axiata shareholders at an Extraordinary General Meeting. Celcom and Celcom Mobile received notices of spectrum reallocation from Malaysian Communications and Multimedia Commission (MCMC) for both the 900MHz and 1800MHz bands. Robi entered into an agreement with Bharti Airtel Holdings (Singapore) Pte. Ltd. (Bharti) for the merger of Robi with Airtel Bangladesh Limited (Airtel Bangladesh) on the terms set in the agreement and Companies Act 1994 of Bangladesh. Landmark three-party agreement reached between Celcom, Telekom Malaysia Berhad and its subsidiary Packet One Networks (Malaysia) Sdn Bhd to offer converged mobile and fixed broadband services. Axiata Investments (UK) Limited, a wholly-owned subsidiary of Axiata entered into a sale and purchase agreement and other ancillary agreements with the parties for the acquisition of the entire issued and paid-up capital of Reynolds Holdings Limited for a total cash consideration of approximately USD1,365.1 million (equivalent to approximately RM5,907 million). edotco Group Sdn Bhd completed the acquisition of 75% equity interest in Digicel Asian Holdings Pte Ltd, the parent of Digicel Myanmar Tower Company Limited. PT XL Axiata Tbk, a 66.43%-owned subsidiary of Axiata listed on the Indonesia Stock Exchange (IDX) (formerly known as Jakarta Stock Exchange), announced its plan to establish the Sukuk Programme. edotco Group Sdn Bhd, a wholly-owned subsidiary of Axiata entered into a Share Purchase Agreement with Digicel Group Limited to acquire a 75% equity interest in Digicel Asian Holdings Pte Ltd., the parent of Digicel Myanmar Tower Company Limited. Celcom and MYEG are currently in the exploratory stage on the areas of collaboration between the Parties and has agreed to extend the MOU further for another period of 1 year. Adknowledge Asia Pacific Pte. Ltd., an 80% subsidiary of Axiata Digital Advertising Sdn Bhd, a wholly-owned subsidiary of Axiata Digital Services Sdn Bhd, which in turn is a wholly-owned subsidiary of Axiata Group Berhad, entered into a Sale and Purchase Agreement with Komli Media, Inc for the acquisition of the entire issued share capital of Komli Asia Holding Pte.Ltd. at a cash consideration of USD11.25 million. Axiata Digital entered into a Subscription and Stockholders’ Agreement with WSO2 and WSO2.Telco, Inc. for the subscription by Axiata Digital of the following shares in WSO2 Telco and to govern their relationships in WSO2 Telco. In relation to the entry by Axiata Investments (Labuan) Limited into the Sale and Purchase Agreement (SPA) for the acquisition of the entire issued share capital of edotco Pakistan (Private) Limited, the parties to the SPA agreed to extend the period to satisfy all conditions precedent of the SPA from 31 January 2015 to 31 May 2015. Axiata, through its wholly-owned subsidiary, Axiata Digital Advertising Sdn Bhd completed the subscription of its 80% stake in Adknowledge Asia Pacific Pte. Ltd.
AIL a wholly-owned subsidiary of Axiata, entered into a Sale and Purchase Agreement for the acquisition of the entire issued share capital of Edotco Pakistan (Private) Limited. Axiata completed the incorporation of edotco Investments (Labuan) Limited, a private company limited by shares, under the Labuan Companies Act, 1990. ADA, a wholly-owned subsidiary of Axiata Digital Services Sdn Bhd which in turn is a wholly-owned subsidiary of Axiata, entered into a Subscription and Shareholders’ Agreement with Adknowledge International, Inc and Adknowledge Asia Pacific Pte Ltd (AAP) for the subscription of an 80% equity stake in AAP by ADA for a cash investment of up to USD9.0 million. Axiata completed the incorporation of Axiata Digital Advertising Sdn Bhd (ADA), a private company limited by shares, under the Companies Act, 1965. XL entered into an Asset Purchase Agreement with PT Solusi Tunas Pratama Tbk for the disposal of 3,500 of its telecommunication towers at the consideration of IDR5.6 trillion. The disposal was completed on 23 December 2014. Axiata entered into an agreement with Samart Corporation Public Company Limited to dispose of its entire shareholding in SAMART i-Mobile representing 24.08% of the total issued and paid-up share capital of SAMART i-Mobile for a total gross consideration of BHT2,874.7 million The disposal was completed on 30 July 2014. The proposed acquisition by XL of PT Axis Telekom Indonesia (Axis) was completed. Axis was further merged into XL as a single entity. The merger between XL and Axis was completed on 8 April 2014. Axiata announced key appointments in edotco Group, Axiata Group Chief Financial Officer, James Maclaurin vacates his post to move to a new strategic business unit, edotco, as Chief Executive Officer. Joining him were Nashad Emir and Thivanka Rangala, both internal talent from within the Group, as Chief Operating Officer and Chief Financial Officer. The appointments which took effect from 1 January 2014, were part of the Group’s Talent Management Programme, where identified talent is rotated and moved across OpCos for exposure and experience in different Axiata companies and markets. Celcom completed the divestment of its entire stake in Celcom Childcare Sdn Bhd to Early. XL entered into a conditional sale and purchase agreement with Saudi Telecom Company (STC) and Teleglobal Investments B.V., a 100%-owned subsidiary of STC, to purchase (or procure the purchase of) the entire issued share capital of PT Axis Telekom Indonesia, a 100%-owned subsidiary of STC, for a total cash consideration of USD865 million based on Axis’s 100% enterprise value (on a cash free and debt free basis). Celcom entered into a one-year Memorandum of Understanding with MY E.G. Services Bhd to jointly explore possible business opportunities and collaboration in the areas of e-Government services delivery and joint go-to-market for specific target market segments. Celcom entered into a Master Collaboration Agreement with Altel Communications Sdn Bhd for the purpose of collaborating to develop, establish, build, operate and manage shared infrastructure for the provision of communication services in Malaysia. XL entered into a joint venture with SK Planet Co Ltd and SK Planet Global Holdings Pte Ltd by incorporating a new limited liability company, PT XL Planet Digital Tbk. DBN, a subsidiary of Dialog, completed the acquisition of Sky Television and Radio Network (Private) Limited (Sky TV) at a consideration of SLR800 million (equivalent to USD6.35 million). In accordance with the SPA, Sky TV was amalgamated with DBN on 3 July 2013. Axiata and its wholly-owned subsidiary, AIC entered into an SPA with Timeturns Holdings Limited to acquire Glasswool, the sole owner of Latelz (now known as Smart Axiata Co., Ltd). The operations of Hello and Latelz were merged as one combined entity, operating under the brand name ‘Smart’. On 19 February 2013, the acquisition and the transfer of Hello’s telecommunications business and assets were completed. Dialog entered into an investment agreement for the acquisition of 26% equity interest in Digital Commerce Lanka (Private) Ltd. (Digital), after which Digital became an associate of the Group. Robi, via Axiata Investments (Labuan) Limited, incorporated a new subsidiary, Bangladesh Infrastructure Company Limited (now known as edotco Bangladesh Co. Ltd), a public company limited by shares, under the Companies Act, 1994 of the Republic of Bangladesh. 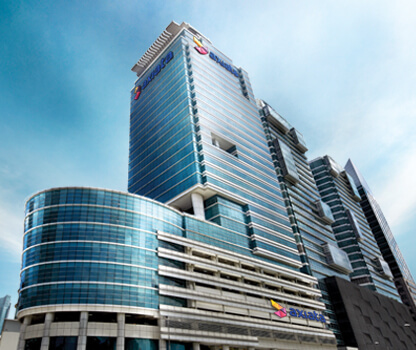 Axiata completed the incorporation of Axiata SPV3 Sdn Bhd (now known as edotco Group Sdn Bhd), a private company limited by shares, under the Companies Act, 1965. Axiata was accorded the ‘Emas’ status by Bank Negara Malaysia for its inaugural issuance of a two year RMB1billion Sukuk. Axiata successfully priced its inaugural issuance of a 2-year RMB1 billion Sukuk via its wholly-owned Malaysian incorporated special purpose vehicle, Axiata SPV2 Berhad. The Sukuk issuance is issued under Axiata’s Multi-Currency Sukuk programme with an aggregate nominal value of up to USD1.5 billion or its equivalent in other currencies. Hello completed the incorporation of Axiata Towers (Cambodia) Company Limited (ATC) (now known as edotco (Cambodia) Co., Ltd), a private company limited by shares to undertake activities and operations related to telecommunications infrastructure. Etisalat, divested 9.1% of their shares in XL through an accelerated book build offering to institutional investors. This led to an increase in XL’s public float from 20.2% to 33.5%. XL continued its focus in the data business and invested further in end-to-end network and infrastructure, with more than 11,000 new BTS successfully installed in 2012. Axiata completed the incorporation of Axiata SPV2 Berhad, a public company limited by shares, under the Companies Act, 1965. ATC was granted a 30-year tower operating licence from the Government of Cambodia. Axiata together with the Badminton Asia Confederation (BAC) and Total Sports Asia (TSA), announced the Axiata Cup, the world’s richest prize money team event of USD1 million. Launched AYTP, a developmental scholarship for young Malaysians, going beyond academics. Axiata will be investing at least RM100 million towards the programme via the Axiata Foundation. Dialog entered into share purchase agreement with the shareholders of Suntel Ltd for the acquisition of the entire ordinary shares in issue in Suntel Ltd.
M1 changed its name to M1 Limited. Indocel reduced its shareholding in XL to 66.69% through the exercise of an international private placement of 19.8% in XL in order to increase public shareholding spread of XL shares. Axiata SPV1 issued USD300 million aggregate principal amount of 5.375% Notes Due in 2020 guaranteed by Axiata payable semi annually in arrears on 28 October each year commencing 28 October 2010 (Notes). The Notes were listed and quoted on the Stock Exchange of Hong Kong Limited on 29 April 2010 and the Labuan International Financial Exchange on 7 May 2010. TMI changed its name to Axiata Group Berhad. TMI through TMI Mauritius increased its stake in Spice to 49% as a result of the mandatory general offer of Spice undertaken as part of the Spice-Idea merger, which has yet to be completed. TMI India through TMI Mauritius acquired a 14.99% stake in Indian cellular company Idea and announced a merger of Spice with Idea. TMI was listed on the Main Board of Bursa Malaysia Securities Berhad. TMI was demerged from TM, resulting in the acquisition of 100% stake in Celcom and 51.0% stake in SunShare. TMI also acquired 16.81% and 49% additional stakes in XL and SunShare respectively from Khazanah. TMI, through TMIL, entered into a shareholders' agreement with Etisalat Indonesia in relation to the acquisition of 15.97% equity interest in XL by Etisalat Indonesia from Bella Sapphire Ventures Ltd.
Dialog acquired the remaining 10.0% of the total issued and paid-up share capital in Dialog TV, which resulted in Dialog TV becoming wholly-owned by Dialog. Spice was listed on the Bombay Stock Exchange. Due to the issuance of new shares by Spice in its IPO, TMI state was reduced to 39.2%. Indocel increased its shareholding in XL to 67.0% by a purchase of additional shares from AIF (Indonesia) Ltd.
View Axiata's regional industry awards and accolades.